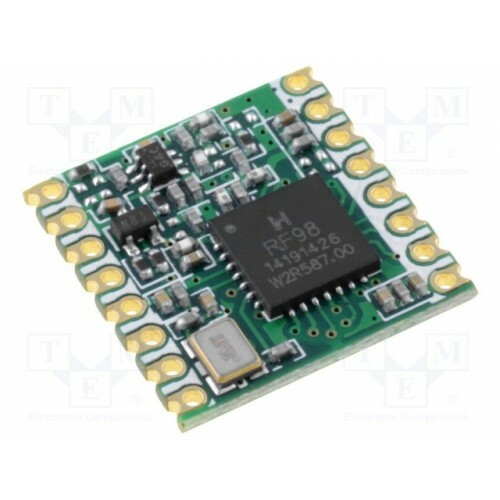 This is the 434Mhz RFM98W-433S2 LoRa Surface Mount Module. The RFM98W transceivers feature the LoRa(TM) long range modem that provides ultra-long range spread spectrum communication and high interference immunity whilst minimising current consumption. These modules are components and are not CE Compliant as they don’t have a specific application. The end user of these modules will need to submit their final product to get CE certification. They are intended for engineering, research or lab use only not for use in production or commercial systems. This products should be used only in testing environments and at your own risk and discretion.